Folsom Lake RV has 7 service bays and employs RVIA certified technicians to give you a quality job the first time and everytime. 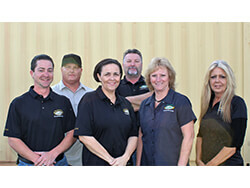 Our RV Service department can install any RV Part or RV Accessory from our RV Parts and RV Accessories department. If you would like to contact us regarding an appointment or repair, fill out the form below or give us a call at (916) 635-4545. When the weather reaches the freezing point and you're not using your RV for the season, then it's time to winterize. Click to read our blog for DIY Winterizing Your RV, or Contact Us and request a Winterizing appointment at our service center. Have questions? We've got answers. Call us at 916-635-4545. Wash and UV-treat rubber surface.